In the past two weeks, people are once again fiercely debating gun control. Not surprising, considering the horrific and tragic killings and attempted murders that took place in Aurora last month. In sadness, rage and anguish, people seek out answers or explanations. Unfortunately there will probably never be an explanation that will truly satisfy anyone; despite this, it is still important to discuss the issues inherent to what occurred, such as gun control. So for now, let’s stick to gun control. Whenever a tragedy such as the one Aurora happens, people point to it as an obvious reason for increased gun control. In response, supporters of the Second Amendment defend gun ownership – sometimes even more strongly than ever. But the issue is far from black and white. Yes, gun ownership is part of the Constitution and the Bill of Rights, but the Constitution is a living document; in fact that’s what amendments are, they reflect our changing society and, in theory, improve our governance. Of course people who support the right to bear arms have further arguments: the need to protect ourselves, both against criminals and our government – if the case may come to that. 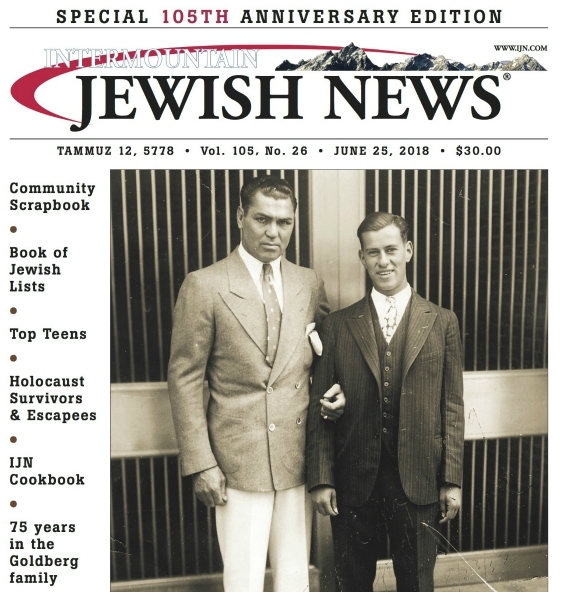 This week Mildred Terrill wrote a letter to the editor mentioning the case of Nazi Germany; had the Jewish citizens there been armed, would history have turned out differently? It’s a point of view we’ve heard before. William Eigels posted a comment on last week’s IJN editorial arguing that just because some – such as James Holmes – abuse a right, should not invalidate that right for all the other law abiding citizens. On the same editorial, Michael Wolin commented that there are a host of possible reasons for increased shootings, from a foul pop culture to a breakdown in family life. We understand these points of view and do agree they are vital to the debate. But we submit that there are two vital points missing from the pro-gun ownership side. The second point was also touched upon in the editorial: Why is every type of gun included within the right to bear arms? Why are civilians able to buy semi-automatic weapons? In what scenario does a civilian require a weapon that is designed for use in warfare? If people feel that our streets have turned into war zones and they require such assault weapons, then our society is facing problems far deeper and more serious than the importance of defending a constitutional amendment. We do not propose overturning the Second Amendment, but the speed with which people are able to acquire weapons must be addressed, and the ability for a civilian to purchase a semi-automatic weapon must be outlawed altogether. What do you think? Vote below or on our homepage and post a comment letting us know why you have your point of view. Should gun control be increased?